Ta dah!!! Today is the official launch of our three snazzy new roundies for your perusal and enjoyment! We are so please to be able to share them with you after months and months of blood, sweat and, yep, sometimes tears that went into designing and producing these round babies. We tossed colours, designs, names & tassels around for what felt like an eternity before we were happy enough to sail ahead with not only one but an entire range of round towel goodness. The Majorelle; inspired by the blue hues and exotic location of Yves Saint Laurent's Moroccan Botanical gardens, this exotic circular design will surely add exotic vibes to your beach days and has the original soft white tassel. The Paridis; oui oui it is French for Paradise, we will take you there with this dreamy navy blue zebra-inspired print with silky cream tassel. The Amaroo; a black dot fishscale pattern with a name that is Indigenous for 'a beautiful place' - nods towards our beautiful Australia and history. This sophisticated black & white design comes complete with a soft black tassel. So there you have it; the entire range. 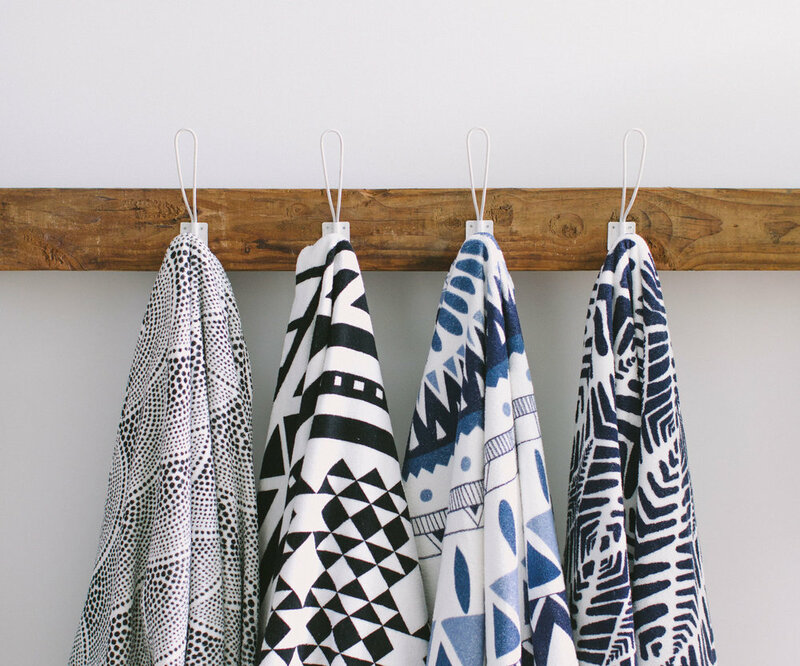 Four beautifully individual round towels to choose from or just get one of each right? Just kidding... but seriously. Last but not least our in-house creative team and most importantly our families, you guys rock!